← What secret distinguishes brands that are strong from those that are not? Who are the customers and what value are they seeking? Who’s ultimately accountable for brand building? What’s the true nature and scope of brand building? Many astute business leaders agree with Peter Drucker’s assertion that, “The purpose of a business is to create a customer.” Customers are created by a business when it provides more compelling value to customers than its competitors. When done successfully, this translates into superior financial rewards for the owners of the business. Making a profit is accordingly a natural consequence of providing this superior value and not an end in itself. Therefore, the role of brand building for a business is to associate the brand and business with a compelling promise of value in the mind of the customer. Success is achieved when a company is skilled at matching its unique value creating capabilities with the specific goal satisfaction sought by different customer segments in the marketplace. While there are some exceptions, most businesses have one broad group of customers that share many common goals but which can be further profiled into micro-segments in which customers share more specific goals. In these cases businesses create more tailored versions of their core value proposition to deliver more compelling value to these micro-segments. The question—Who are the customers and what value are they seeking?—is much more complex for a destination brand. each of whom is seeking compelling value that is important to them. Residents, tourists and investors are all sources of funding for the sustainability and longer-term prosperity of a destination brand. They also value many similar destination products and services available at that destination. Residents create the economy and market for local businesses and the tax base to ensure an adequate infrastructure and services. They value destination products and services that provide for their personal safety and security and give them access to adequate housing, health care, education, vocational opportunities, transportation systems and leisure and entertainment offerings. Tourists are a major source of revenue for the local economy and provide the impetus for infrastructure improvements that make the destination more appealing than alternatives. They value unique attractions such as natural wonders, cultural artifacts and leisure and entertainment offerings, and access to adequate lodging and transportation systems. Safe and secure environments are considered table stakes for all but the most adventurous of tourists. Investors are often residents or become residents after making the decision to start a business or invest in the local economy of a destination and so act simultaneously as both producers and consumers of the output of this economy. While they value many of the same destination products and services as residents, access to a well-educated workforce, a modern banking system and to important markets are key aspects of the value they are seeking. 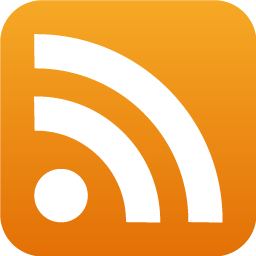 There is a symbiotic relationship between the three customer groups. 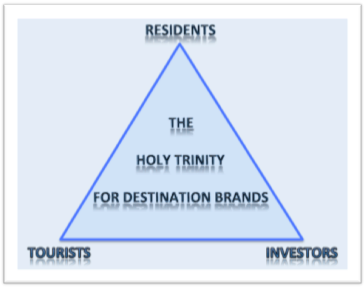 Winning with all three therefore represents the holy trinity for destination brand building. In a business, it’s the CEO and the executive team who are in charge of the brand and business building. They establish the brand’s vision and strategy and are responsible for nurturing its unique raison d’être, culture and capabilities. Destination brands, however, face a dearth of leadership—no single person is tasked with the responsibility and accountability for building destination brands in the same manner that CEOs are held accountable for building business brands. The conflicting political and economic interests of different levels of government—municipal, provincial and national—most often short-term in nature, conspire together with the self-interests of the business community and residents to create this situation. This problem is further exacerbated by the nature and reporting relationships of those government or quasi-government institutions with only partial responsibility for building destination brands. Those responsible for tourism focus exclusively on tourism while those responsible for economic development focus exclusively on economic development. It’s only rarely that these institutions recognize the value and shared responsibility for working together to win with tourists, residents and investors. This challenge often seems greatest in societies that embrace capitalism and liberal democracy. These powerful forces simultaneously both bolster and undermine the goals and potential success of destination brand building initiatives. Business leaders build their brands by orchestrating the focus and company-wide processes that result in a tailored marketing mix that will create, deliver and communicate the compelling value customers are seeking. While all aspects of the marketing mix play a role in shaping positive customer perceptions, inordinate attention is usually paid to enhancing the company’s products and services because they are at the heart of the attraction that a brand has for customers and a key aspect of the value they are seeking. A pioneering spirit—one that engenders ideas and fosters innovation to bolster the brand’s compelling value—is therefore considered crucial to the longer-term prosperity and sustainability of the brand and business. To stay competitive over time brands and businesses must be relentless in seeking new value for their customers. Creating and innovating compelling value for the customer is the true nature and scope of brand building in the business world. Destination branding is the term that carries the greatest weight in the lexicon of destination marketers. But, branding is not the same as brand building. Branding refers primarily to the communication strategies used to make customers—most often tourists—aware of a brand and its compelling promise of value. Destination brand-building is almost always limited to advertising, social media and public relations campaigns—branding—but rarely focuses on the need for destinations to develop their product and service offerings as a means of attracting new residents, tourists and investors, part of a broader brand building effort. As a result, many destination branding initiatives live in the past, not the future. Destination marketers too often rely on nurturing emotional values and celebrity status that stem from products and services such as natural wonders and cultural artifacts that are historical in nature. Only infrequently does the leadership exist for a destination that has the authority to engage in a more holistic brand building initiative with the express purpose of nurturing a master brand for the destination that is attractive to new residents, tourists and investors alike. Singapore serves as a good example, as does Dubai prior to the impact of the current economic meltdown. So what does the future hold in store for destinations and their need to attract the residents, tourists and investors that will ensure their viability and sustainability? If the current macro forces at play continue it will likely lead to a redistribution of economic and consumer spending power across the globe and to new desirable sources of intellectual and human capital. Those destinations that are able to tap into these sources will likely be the winners. To accomplish this, destinations will need to go beyond branding and learn how to engage in destination brand building that mirrors the best practices for brand building in the business world. Brand building initiatives must recognize the symbiotic relationship between the goals of residents, tourists and investors. Winning with all three therefore represents the holy trinity for destination brand building. Destinations will need to develop the capacity to ensure brand building initiatives are led by leaders with sufficient authority to orchestrate focus across various levels of government–municipal, regional and national–and to develop the necessary mechanisms to engage with business leaders and residents about developing a shared and welcomed view of the future. Brand building efforts must be more than branding initiatives. Far from living in the past, these efforts must focus relentlessly on creating new value frontiers for residents, tourists and investors alike. The winners of the future will be those destination brands that develop the products and services that demonstrate leadership on the world stage. Fortunately, there are many examples of new products and services that have been developed to shape and enhance tourist perceptions and experiences related to the destination. 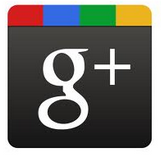 These most frequently take the form of major industry, cultural or sporting events. In my home city of Toronto, TIFF­–the Toronto International Film Festival now the 3rd largest event of its kind; Caribana–the Scotiabank Caribbean Carnival, a three-week festival celebrating Caribbean cuisine and music now in its 45th year and the largest cultural event of its kind in North America, and the upcoming Pan Am Toronto Games 2015 are prime examples. This entry was posted in Brand Strategy, Destination Branding, Place Branding and tagged advertising, brand, branding, Caribana, communications strategy, compelling promise of value, Dubai, innovation, Pan Am Toronto 2015, publicity, Singapore, social media, tailored business model, TIFF, Toronto International Film Festival. Bookmark the permalink. 1 Response to Why is building a destination brand so challenging?